The Senatorial Selection Act, the law that governs Alberta’s unique Senate nominee elections, expires on Dec. 31, 2016. The longstanding policy of the Alberta New Democratic Party which supports the abolition of the Canadian Senate likely means the Act will be allowed to expire, into the dust of legislative history. Members of the Canadian Senate are appointed by the Governor General on the advice of the Prime Minister. Alberta is the only province with a general election process to select Senate nominees, which have been held in 1989, 1998, 2004 and 2012. 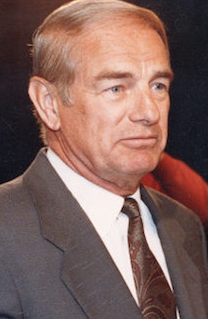 The Senatorial Selection Act was introduced in 1989, in part to allow the Progressive Conservative government of Don Getty to co-opt the issue of Senate reform, which had become a powerful rallying crying of the populist Reform Party. 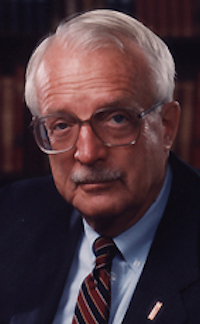 Reform candidate Stanley Waters won the 1989 election and was appointed to the Senate in 1990 on the advice of then-prime minister Brian Mulroney. Only a handful of Alberta’s elected Senators have actually been appointed to the upper chamber, as the election process exists outside of the Constitution and can be ignored by the federal government. 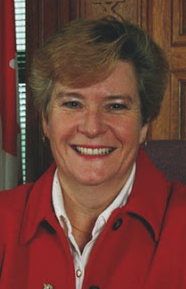 Current Conservative Senators Doug Black and Scott Tannas, elected in 2012, and Betty Unger, elected in 2004, were appointed to the Senate on the advice of former prime minister Stephen Harper. 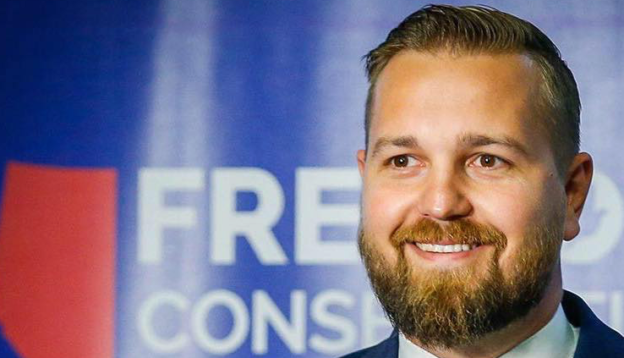 With the exception of the 1989 election, when Liberal Bill Code placed second, only the conservative Reform Party, Progressive Conservative, Alberta Alliance, Social Credit and Wildrose Party, and the environmentalist Evergreen Party have participated in the elections. Progressive candidates have also run as Independents without the backing of their political parties. 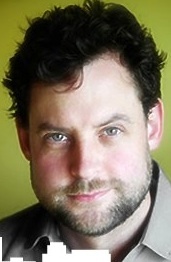 In 1998, future NDP candidate Guy Desrosiers stood as an Independent Senate candidate (and placed third with 16.7% of the vote). A high-level of rejected, declined and spoiled ballots in the Senate elections suggests that many Albertans are unengaged in this process. More than 178,000 ballots were rejected, spoiled and declined in the 2004 Senate election, amounting to 19 percent of Albertans who showed up to the polls. In 2012, more than 189,000 Senate election ballots were rejected, spoiled and declined, compared to only 7,822 in the provincial general election held the same day. While the NDP have long supported the abolishment of the Senate, the idea has grown popular in conservative circles in recent years. Saskatchewan Premier Brad Wall has echoed the NDP’s calls for Senate abolishment, and in an odd pre-election maneuver, Mr. Harper tacitly endorsed the abolishment of the Senate if it could not be reformed (this took place after he appointed more than 50 Conservatives to the Senate, including Mike Duffy, Patrick Brazeau and Pamela Wallin). A new Senate appointment advisory board created by the federal Liberal government led by Prime Minister Justin Trudeau after the October 2015 election will review nominated Canadians who meet the criteria of demonstrating a record of leadership in community service or professional expertise, a proven record of ethics and integrity and knowledge of the Senate’s role. It is unclear whether the new advisory board will place future provincially-endorsed elected nominees in higher consideration. “…this is a piece of legislation that we can’t support because, quite frankly, it just provides a foundation to continue with what is currently a very ineffective system on the federal level. As has been previously stated, our view is simply that the Senate should be abolished. It is not something that reflects the democratic makeup of our country. The historical rationale behind appointing a Senate has long since dissipated in terms of sort of the historical political concerns that underlay the initial construction of the Senate. The current elements of the Senate that we would effectively be promoting and encouraging the continuation of are, in my view, quite unacceptable. Whether we elect our Senators or whether we have elections where the government chooses to appoint our Senators, we’re still dealing with the current situation, which is that the Senate itself does not reflect the national population distribution in that, you know, Alberta has six Senate seats, and New Brunswick, with about one fifth of Alberta’s population, has 10 seats. Eligibility for appointment in the Senate is still based in part on property ownership, and once appointed, Senators just get to hang around there until 75. Whether we have this legislation or do not have this legislation, that’s exactly what’s going to happen. Having had this legislation, we’ve actually, if anything, encouraged the continuation of the Senate. We’ve encouraged buy-in to what is a fundamentally antidemocratic institution. You know, this was something that came up originally as a means to make a political point when there were substantive discussions around Senate reform a long, long time ago. There have been no meaningful discussions around Senate reform for, I would suggest, about a decade at least. This entry was posted in Alberta Politics and tagged Alberta NDP, Alberta Senate Elections, Betty Unger, Bill Code, Brian Mulroney, Don Getty, Doug Black, Guy Desrosiers, Justin Trudeau, Mike Duffy, Pamela Wallin, Patrick Brazeau, Rachel Notley, Reform Party, Scott Tannas, Senatorial Selection Act, Stanley Waters, Stephen Harper on February 16, 2016 by Dave Cournoyer. Members of the PC cabinet, elected and non-elected, stand preparing to be sworn-in to their new jobs at Government House today. 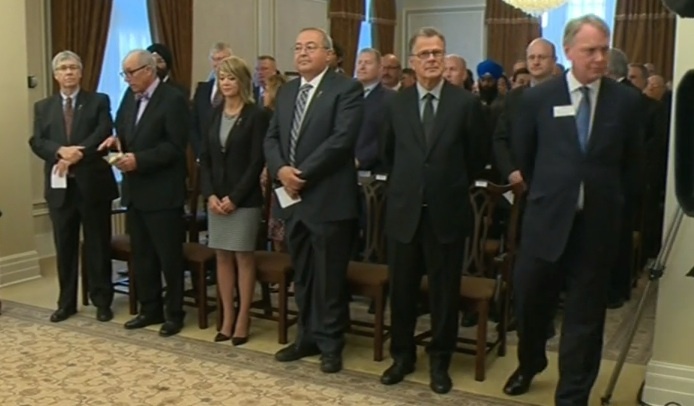 As he prepared to be sworn-in as the 16th Premier of Alberta at Government House today, Jim Prentice aimed to project the image of a leader who is in command and in control of the situation. 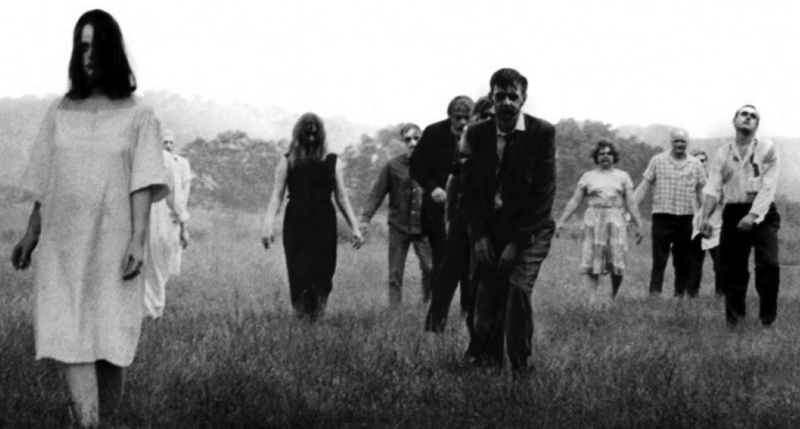 And today’s tightly controlled cabinet shuffle achieved that goal. Unlike previous cabinet shuffles, the news around today’s appointments was tightly sealed, with no leaks to the media to spoil Mr. Prentice’s opening day as Premier. But did Mr. Prentice really give Albertans the change he promised with this cabinet shuffle? There are a few new faces in top positions and two unelected cabinet ministers from outside the Legislative Assembly, but at least fifteen of the twenty cabinet ministers previously served in the cabinets of Premier Alison Redford or Dave Hancock. Without appointing a larger group of unelected cabinet ministers, he had little choice but to draw on the current pool of PC MLAs. If Albertans really want to see change in their government, they will have to do what people in every other province do from time to time: elect a new party to form government. Viewed as having the endorsement of Corporate Calgary’s Oil Executives, Mr. Prentice’s choices for cabinet sends a message that the construction and expansion of oil sands pipelines will remain a priority for the Progressive Conservatives. 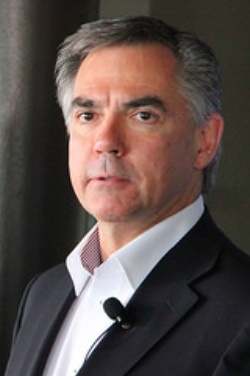 As well as being Premier, Mr. Prentice takes on the role of Aboriginal Affairs and Intergovernmental Affairs, both important roles when dealing with the construction of Enbridge’s proposed Northern Gateway Pipeline through northern British Columbia and the TransCanada Energy East Pipeline to New Brunswick. The Northern Gateway Pipeline, which would pump raw bitumen from Alberta’s oil sands to the port city of Kitimat, is facing stiff opposition in Alberta’s neighbouring province, especially from First Nations and environmental groups. Before entering the PC Party leadership race, Mr. Prentice worked for Enbridge as an envoy to B.C.’s First Nations communities. 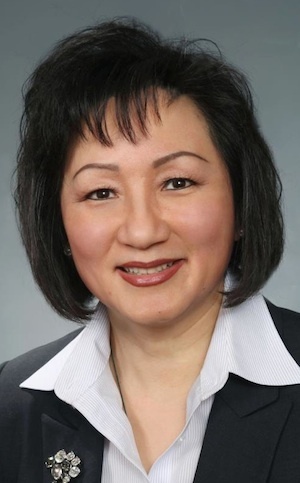 Teresa Woo-Paw, the two-term MLA from north Calgary, is now the Associate Minister for Asia-Pacific Relations, an important position as the proposed pipeline would send Alberta’s raw bitumen to be refined and processed in Asia (likely in the People’s Republic of China). How Mr. Prentice and Ms. Woo-Paw approach Alberta’s trade relations with Asian countries will also seal the fate of former cabinet minister Gary Mar, who was appointed as Alberta’s representative in Hong Kong after he was defeated in the 2011 Progressive Conservative leadership contest. Expenses related to Mr. Mar’s patronage appointment have been harshly criticized by the opposition parties. During Ms. Redford’s time as Premier, the Government of Alberta expanded trade operations in Asia, operating offices in China, Taiwan, Japan and South Korea. A new trade office was opened last year in Singapore and another will soon open in Mumbai, India. 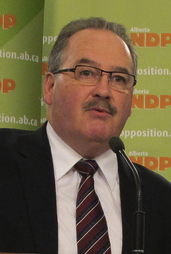 Third-term Peace River MLA Frank Oberle is now Alberta’s Energy minister. It is unclear how Mr. Oberle will approach the role differently than his predecessors, but his connections to northern British Columbia may play a role in the government’s focus on Enbridge’s Northern Gateway Pipeline. Mr. Oberle’s father, Frank Oberle Sr. was the Member of Parliament for Prince George-Peace River from 1972 to 1993, serving as Minister of Forestry under Prime Minister Brian Mulroney. His past relations with northern Albertans opposed to nuclear development may be an indication to how the new energy minister plans to approach opposition to pipeline expansion. 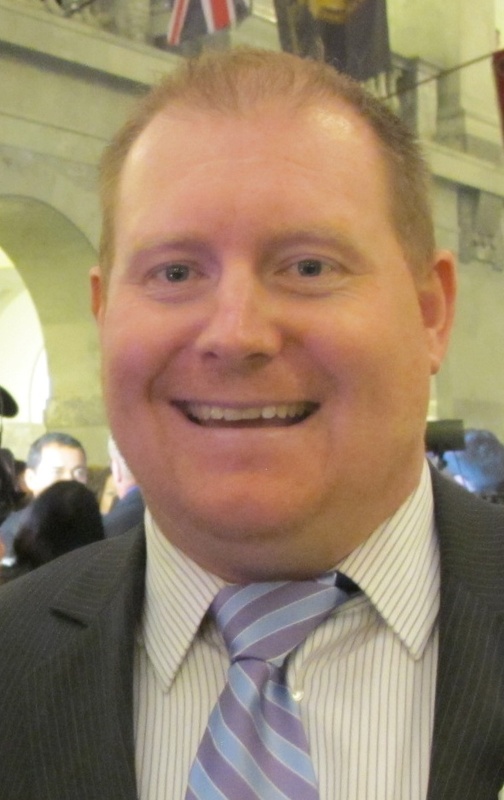 Serving as the defacto junior energy minister, Calgary MLA Kyle Fawcett was appointed as Environment & Sustainable Resource Development. Prone to embarrassing outbursts, Mr. “Leaky” Fawcett’s appointment suggests that Mr. Prentice might not be serious about tackling climate change and environmental issues linked to natural resource development. The Auditor General reported in July that the Alberta Government has not been monitored its climate change targets and that its expensive carbon capture program is nowhere near meeting its targets for emission reductions. I sincerely hope that Mr. Fawcett sees his role as environment minister as more than a public relations activity for the government’s oil sands and pipeline expansion agenda. On the environment and energy file, actions will speak louder than cabinet appointments. Mr. Prentice handed the helm of two very important ministries to individuals who have never been elected to the Alberta Legislature. 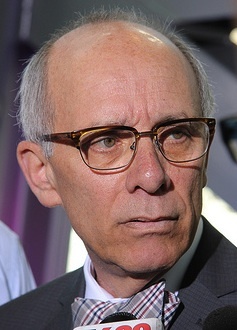 Former Edmonton Mayor Stephen Mandel, 69, and former Saskatchewan cabinet minister Gordon Dirks, 67, were appointed to cabinet as Minister of Health and Minister of Education. Mr. Mandel remains popular among many Edmontonians, and is expected to run in a by-election in Edmonton-Whitemud, the southwest Edmonton constituency made vacant following Mr. Hancock’s resignation last week. His tendency to show thin-skin when he does not get his way may prove challenging when having to compromise with his new cabinet and caucus colleagues, or his political opponents. Mr. Dirks’ affiliations with a socially conservative evangelical church have raised the ire of his critics, who worry these views may impact his support of secular public education in Alberta. The appointment of the former Calgary Board of Education trustee and 1980s Saskatchewan politician was unexpected, to say the least. 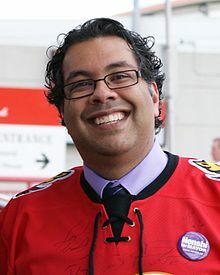 It is suspected that Mr. Dirks will run for the PC Party nomination in the impending Calgary-Elbow by-election, triggered by Ms. Redford’s departure from political life. 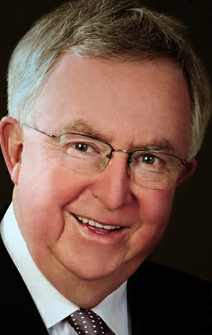 The nomination is also being contested by long-time PC Party activist Pat Walsh. 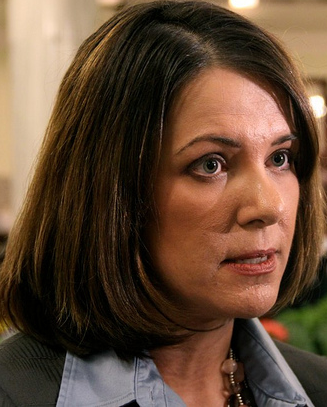 Who’s not welcome in Prentice’s cabinet? Thomas Lukaszuk, Fred Horne, Doug Griffiths, Ken Hughes, Sandra Jansen are all names that many Albertans have become familiar with over the past few years. These former senior cabinet ministers will now occupy seats in the backbenches (and have their offices relocated from prime real estate in the Legislature Building to the aging and stuffy Legislature Annex). Also demoted were former Finance minister Doug Horner, who will take on the role of “trade advisor” for the Premier and former International Affairs minister Cal Dallas, who will now serve as a “Legislative Secretary” for intergovernmental relations. The resignation of Mr. Hancock last week took many political watchers by surprise. I am told by sources in the PC Party that Premier Hancock was informed by his party’s new leader that he would not be appointed to cabinet if he chose to remain as an MLA. This entry was posted in Alberta Politics and tagged Alberta Trade Offices, Alison Redford, Brian Mulroney, Cal Dallas, Calgary Board of Education, Calgary-Elbow by-election, Canada Oil Sands, Carbon Capture and Science, Dave Hancock, Doug Griffiths, Doug Horner, Edmonton-Whitemud by-election, Enbridge Northern Gateway Pipeline, Frank Oberle, Frank Oberle Sr., Fred Horne, Gary Mar, Gordon Dirks, Jim Prentice, Ken Hughes, Kyle Fawcett, Nuclear Power Alberta, Pat Walsh, People's Republic of China, Pipeline Cabinet Shuffle, Prince George-Peace River, Sandra Jansen, Stephen Mandel, Teresa Woo-Paw, Thomas Lukaszuk, TransCanada Energy East Pipeline on September 16, 2014 by Dave Cournoyer. leaky pipeline gives slick impression of alberta oil. When word first broke that a leaky pipeline near the central Alberta town of Sundre had poured an estimated 1000 to 3000 barrels of oil into a tributary of the Red Deer River, Premier Alison Redford was quick to respond. 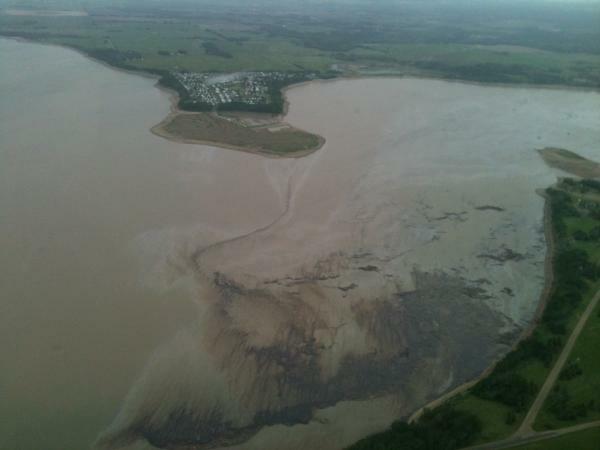 That afternoon, the Premier, flanked by Environment and Sustainable Resource Development Minister Diana McQueen and local Wildrose MLA Joe Anglin, held a media conference near the location of the spill. Despite the quick response, which is a change from the days when it felt like these types of leaks were publicly ignored by our political leaders, Premier Redford’s media conference cannot change the fact that oil spills and leaking pipelines have already become a regularly reported occurrence in Alberta. The latest leak comes at a crucial time when the Government of Alberta and Enbridge Inc are pushing the construction of a new oil pipeline that would travel through Alberta and British Columbia to the port at Kitimat. B.C. will only agree to the pipeline if the economic benefits outweigh the environmental risk. That is an argument the Alberta government has not managed to put forward. 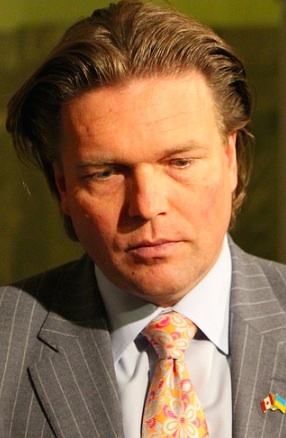 Political support for the project is also in question. B.C. 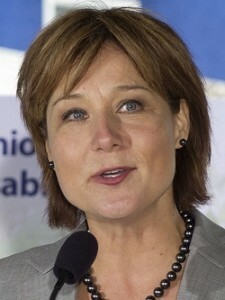 Premier Christy Clark, a vocal supporter of the pipeline, has somewhat moderated her tone as her party’s electoral fortunes continue to slip further in the public opinion polls (the BC Liberals have been trailing the NDP in the polls since September 2011). The BC Conservative Party, led by septuagenarian former Member of Parliament John Cummins, are competing with Premier Clark’s Liberals for second place, and have come out in favour of the pipeline. Taking advantage of the unease about the environmental impact of the pipeline, BC NDP leader Adrian Dix launched a petition against the construction of the pipeline which respond to legitimate concerns about the navigation of oil-filled supertankers through the narrow Douglas Channel. In the land of political spin, Enbridge spokesperson Paul Stanway claimed last week that the company had secured the support for the pipeline from 60% of First Nations communities along the proposed corridor. The Coastal First Nations group disputed that number, accusing Enbridge of expanding its corridor by 80 kilometres to boost the number of supporters. The group claimed many of the First Nations listed by Enbridge as supporters are located outside of any area that could be impacted by a potential spill. 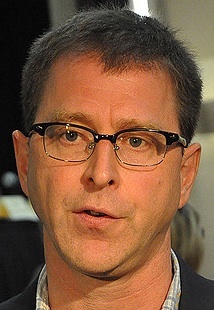 Readers of this blog may remember Mr. Stanway from his previous roles as columnist and publisher at the Edmonton Sun and communications director to former Premier Ed Stelmach from 2007 until 2010. Although the next federal election could be nearly three years away, NDP leader Thomas Mulcair is capitalizing on the concerns central Canadian and British Columbian voters about the effect of oilsands development on the environment and its effects on traditional manufacturing industries (a la Dutch Disease). Everyone from former Reform Party leader Preston Manning to former Prime Ministers Paul Martin and Brian Mulroney have chimed in to criticize Mr. Mulcair. There is irony in Mr. Mulroney shaming Mr. Mulcair for playing regions against each other, considering that some of Mr. Mulroney’s more unpopular policies led to the divisive regionalization of Canadian politics following the 1993 election. 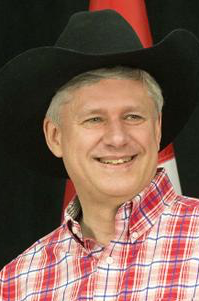 As Prime Minister Stephen Harper‘s Conservatives have proven numerous times over the past nine years, leveraging social and regional wedge issues can lead to great electoral success. 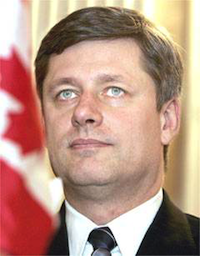 Mr. Mulcair would be foolish not to take a page from Prime Minister Harper’s book. While conservative pundits and politicians denounced Mr. Mulcair’s criticisms, the political strategy, at least in the short-term, does not appear to have hurt NDP chances in voter-rich regions outside the prairie provinces. A recent poll showed the federal NDP in a statistical tie with the governing Ottawa Conservatives. This entry was posted in Alberta Politics and tagged Adrian Dix, Alison Redford, Brian Mulroney, Christy Clark, Diana McQueen, Ed Stelmach, Joe Anglin, John Cummins, Paul Martin, Paul Stanway, Preston Manning, Thomas Mulcair on June 13, 2012 by Dave Cournoyer. 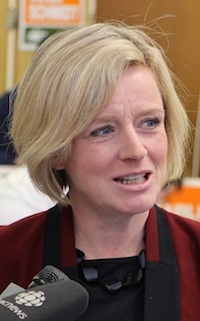 alberta election: the leaders’ debate will matter. In a typical provincial election in Alberta, the televised Leaders’ debate is a mere formality in a process that would inevitably lead to the election of another massive Progressive Conservative majority government. Even when the perceived winner of the debate is the leader of an opposition party, the effects on the governing party have been relatively minimal. In the last election, expectations were set so low for Premier Ed Stelmach that his satisfactory performance was seen as a big win for the soft-spoken and stuttering communicator. 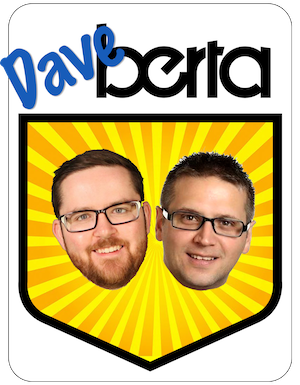 The only televised Leader’s Debate during Alberta’s 2012 will be held on April 12 and it could be a spectacle not seen in this province in decades (CBC is hosting a Leaders’ forum, which will be broadcast on radio and live-streamed on the internet). It will be the first time that Premier Alison Redford and Wildrose Party leader Danielle Smith will debate each other face-to-face and also the first Leaders’ debate for three of the four main party leaders (it is Liberal leader Raj Sherman‘s first televised debate). 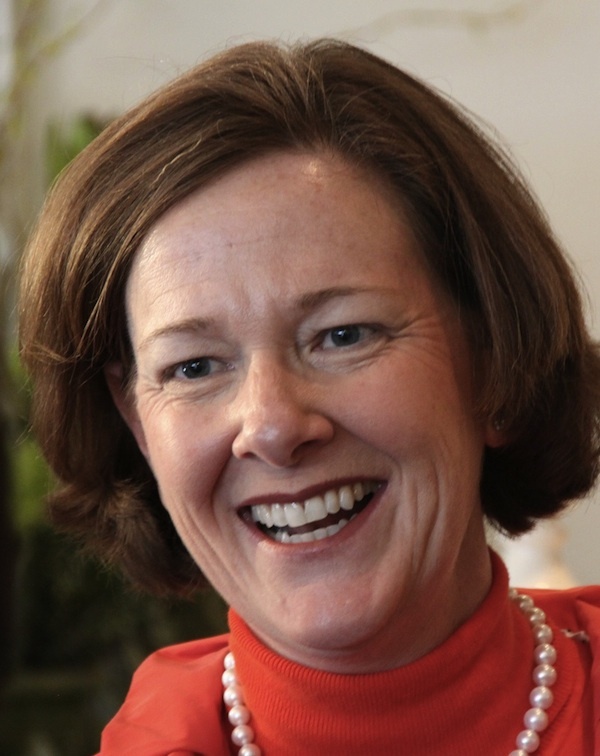 All eyes will be on Premier Redford and Ms. Smith. 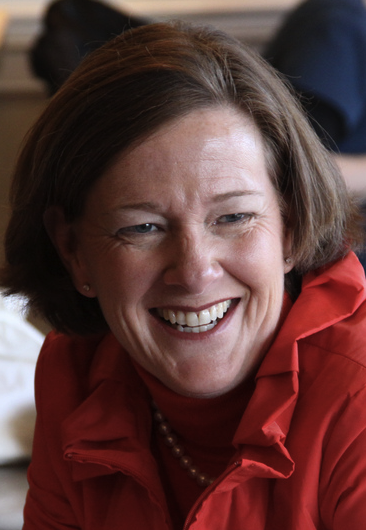 The debate will be Premier Redford’s opportunity to turn the tide that has swept her 41-year governing Progressive Conservative Party into contention for official opposition status. Unlike her recent predecessors, she has the unfortunate task of having to answer for every misstep taken by her governing party for the past four decades. This will be Premier Redford’s big opportunity to deliver a pitch to moderate conservatives, liberals, and undecided voters that voting for the more conservative and untested Wildrose Party just is not worth the risk. Despite a rough six months as Premier, she is a skilled debater. Calm and confident, Ms. Smith has been preparing for this debate for years. 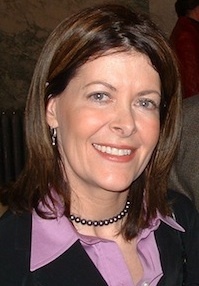 Despite having never been elected as an MLA or faced any of her political opponents on the floor of the Assembly, Ms. Smith has honed her political debating skills on and off television as a columnist with the Calgary Herald, a brief stint as a school trustee, a director of a right-wing lobby group, and party leader since 2009. With Ms. Smith’s party riding high in the polls, creating the real possibility that she could be our province’s next Premier, expectations will be set high for her to perform well in this debate. I would be surprised if she does not meet these expectations, but the other leaders will be marking targets on her party’s more controversial positions on conscience rights, de-listing abortion, attacking reporters, and privatizing health care. So far, the Wildrose leader has tried to avoid even commenting on most these issues, sticking to her highly disciplined and controlled campaign messaging. Entering his third election as leader of Alberta’s NDP, Brian Mason has an opportunity to present Albertans with a clear alternative to the two leading conservative parties. Following Ms. Smith’s announcement that her party would introduce more privatization into Alberta’s health care system, Mr. Mason jumped at the opportunity to get into the debate. With Edmonton-Calder candidate David Eggen by his side, Mr. Mason launched a campaign to “Save Public Health Care.” The NDP are polling well in Edmonton, with a recent Leger survey showing them with 20% support in the provincial capital, which has always been the centre of NDP support in Alberta. 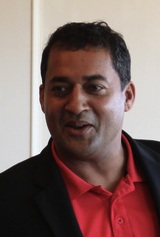 For Dr. Sherman, who left the Tory backbenches in 2010 and now leads the official opposition Liberal Party, the debate will be his biggest opportunity to save his party from third party status or even being completely shut out of the Assembly. 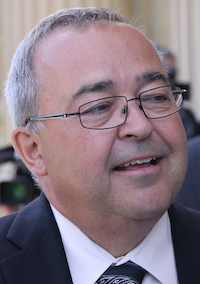 The Liberals became the official opposition in 1993 and since then their support has steadily declined (with the notable exception of the 2004 election when Kevin Taft led the party to double its seats in the Assembly). Health care has been a key focus of Dr. Sherman’s campaign, and despite his professional expertise working in the Emergency Rooms of Edmonton’s hospitals, the Liberals have not been able to turn this strength into growth in the polls. 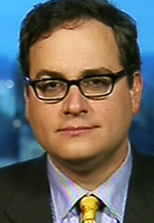 Having earned a reputation for being sporadic when put on the spot, Dr. Sherman will be the wild-card in the April 12 debate. The most interesting aspect of televised leaders’ debates, especially in elections where the results are not evident from the day the Writ is dropped, is that one misspeak or surprise Academy Award winning performance could potentially change the outcome on election day. Most people will refer to Brian Mulroney‘s performance in the the 1984 federal election as the perfect example of a “knock-out punch“, but this clip from the 1991 British Columbia provincial election remains one of my favourite. Watch as Liberal leader Gordon Wilson delivers the most famous soundbite of that election, which helped take his party from zero seats in the Assembly to seventeen. This entry was posted in Alberta Politics and tagged Alison Redford, Brian Mason, Brian Mulroney, Colby Cosh, Danielle Smith, David Eggen, Ed Stelmach, Gordon Wilson, Kevin Taft, Raj Sherman on April 7, 2012 by Dave Cournoyer.